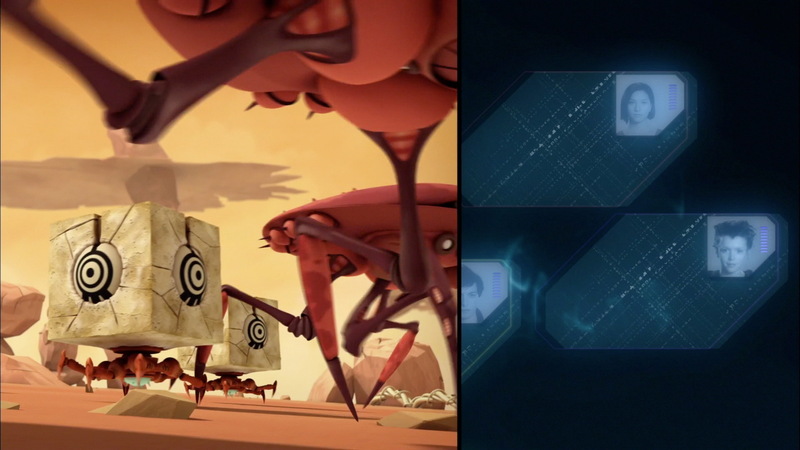 In order to trick XANA and cause it to lose power, Jeremy has the idea of injecting false codes into one of the Lyoko Warriors. Ulrich volunteers and allows himself to be touched by a spectre. But these false codes, are they really not dangerous? And above all, will XANA fall for their trick? Jeremy has a new idea. XANA sends spectres to collect source codes from inside the heroes. The young Belpois plans to dupe XANA by injecting one of his friends with false codes which, instead of giving XANA strength, weaken it. Only one problem: the procedure is experimental and therefore dangerous. After a small debate about who’s going to get the codes, Ulrich volunteers so that Yumi won’t have to. The Japanese girl is touched by his gesture. 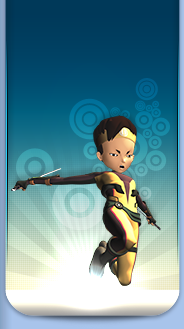 She and Ulrich virtualise on Lyoko. They stop in front of a tower. Ulrich enters and is injected with the fake codes. 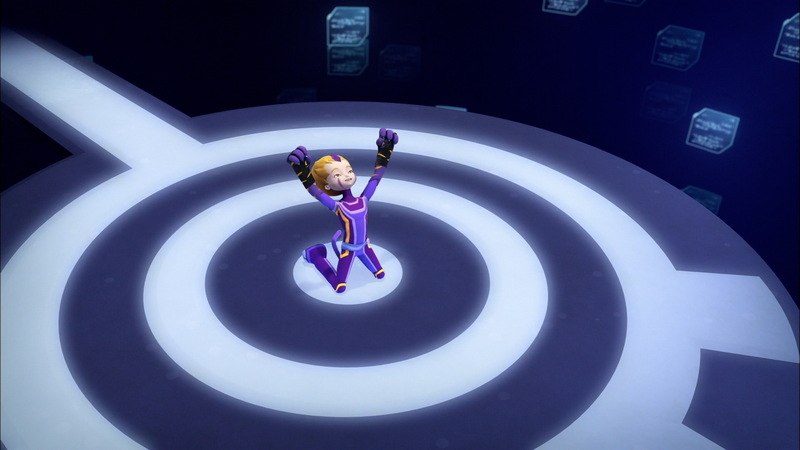 After a small, strange reaction from the tower and computer terminal, Ulrich springs out of the tower and plays a little joke on his friends, pretending to be possessed by XANA. After devirtualisation, the heroes return to Kadic, finally ready to welcome their first spectre. This part of the plan goes well: a tower is activated. The spectre walks around Kadic. It runs into Sissi who begins to complain…until the spectre hypnotises her to remain silent. The teen then begins to wander around the grounds looking sleepy. Ulrich and Yumi, warned about the spectre by Jeremy, begin to search for it. Seeing Sissi desensitised, Ulrich believes her to be the spectre and approaches her. He realises his mistake when he discovers Yumi being hypnotised by the spectre. He saves her. 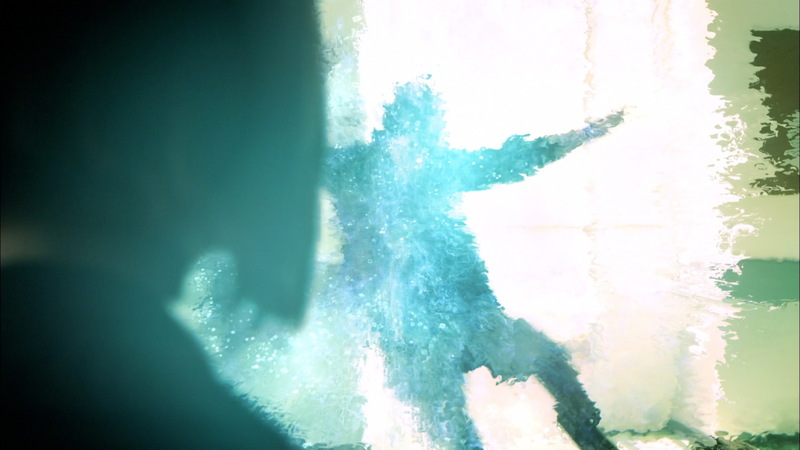 The Japanese girl flees…but the spectre doesn’t attack Ulrich. It hypnotises him and sets off after Yumi. Ulrich calls Jeremy. The brainiac realises his mistake: XANA was spying on them when they injected Ulrich with the codes. The program knows about the trap. 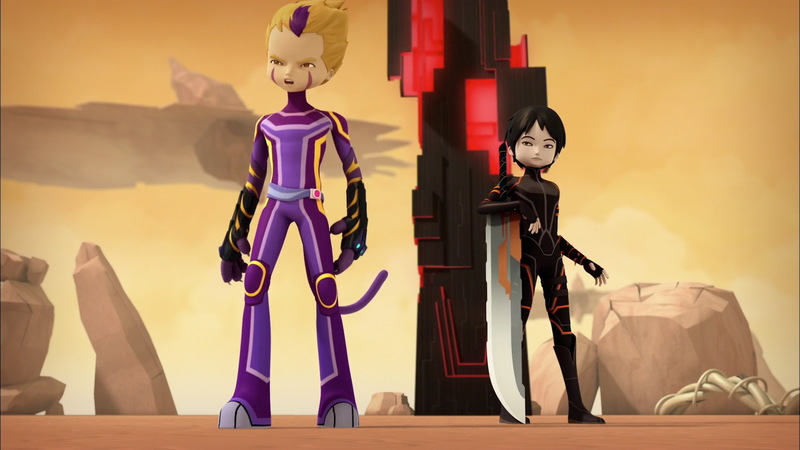 William and Aelita, having been at the factory, go to Lyoko first. During this time, Odd tries to reconcile with Samantha. After a short time hiding from some particularly dangerous monsters, the heroes are forced to make a confrontation. 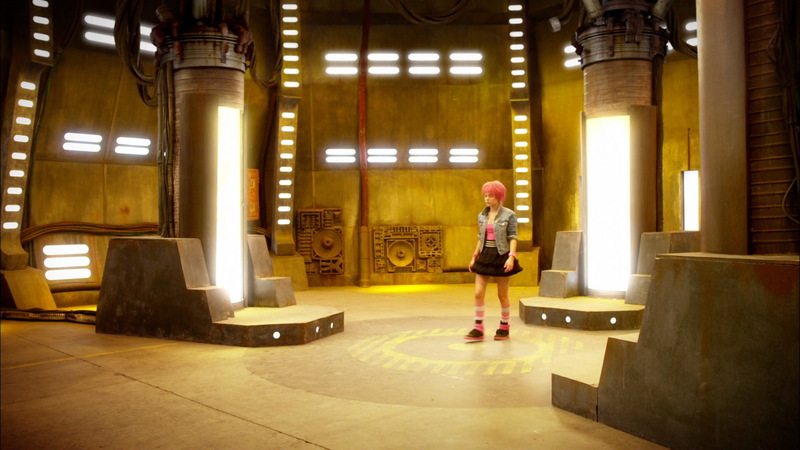 Aelita, cornered by three Bloks, eliminates one but is devirtualised by a second. William fights against Bloks and Krabes combined. He performs some great feats and destroys and impressive number of them. 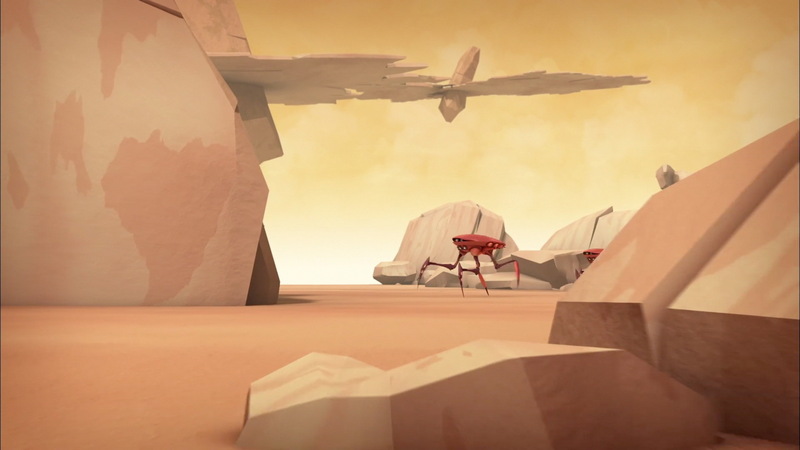 On Earth, Yumi finds it difficult to escape the spectre while Ulrich can’t seem to find them. The little game of hide and seek finishes in the gym. Yumi is hypnotised but Ulrich manages to seize the spectre. It absorbs his fake codes and disintegrates. The fake codes mission is a success but Jeremy decides not to try it again because it’s too much for his friends…especially since XANA became wary of the tactic. The day is concluded on a positive note while Odd tries once again to patch things up with Samantha. - Attack: Send a spectre with hypnotic powers to retrieve codes. - Tower was not deactivated as the spectre disappeared for other reasons. - Jeremy created false source codes, which are implanted in Ulrich's body so that when he makes physical contact with a spectre, XANA will absorb the source codes instead, also preventing a gain in power. The false codes work but Jeremy decides not to use them again because they're too dangerous for the person injected with them and XANA had caught wind of what they were trying to do. - First appearance of Sissi in Evolution. - Odd tries to patch things up with Samantha after the events in episode 7 "Countdown" in which Odd, hurt by a spectre, called Samantha a beet, which can be considered very rude in French. - Ulrich makes an allusion to episode 95 “Echoes” from the original series. 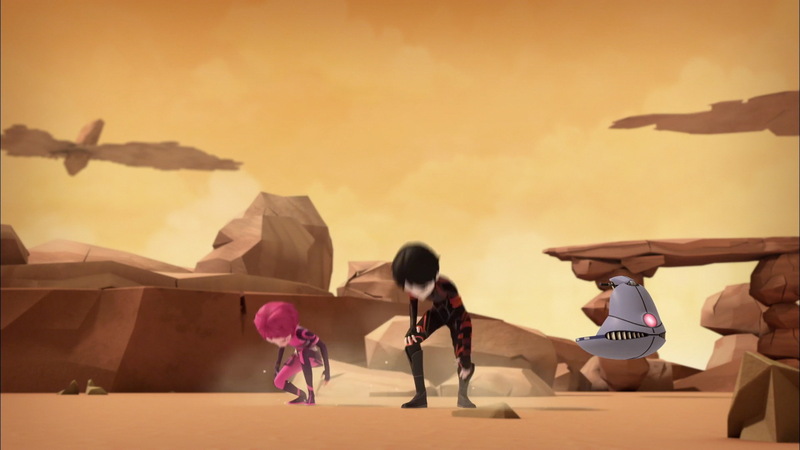 In this episode, the heroes, thinking they're over and done with XANA and Lyoko for good, promises to be nicer to Sissi instead of rejecting her. - Also the first time the heroes succeed in destroying one of XANA's spectres. Tony Hawk is a famous American skater. Sissi: My foot! Can't you pay attention? Yumi: Say, why did you offer to take my place earlier? Ulrich: Bah… I dunno… I thought it seemed… Normal. Yumi: Were you scared for me? Ulrich: I mean yes… Well, not really, I just didn't want you to have to touch a spectre. Odd: Imagine if he comes out of there as Dark Ulrich. William: Odd, you're not funny. Yumi: Phew… I really thought Ulrich had been XANAfied. William: Alone against all of them…so? I don't see the problem. William: Ok, I admit it, we can't always go it alone. Thanks, Odd. Odd: It's always XANA who's foiling my plans with Samantha! This won't continue for long! Odd: Tony Hawk can go back to bed!! !